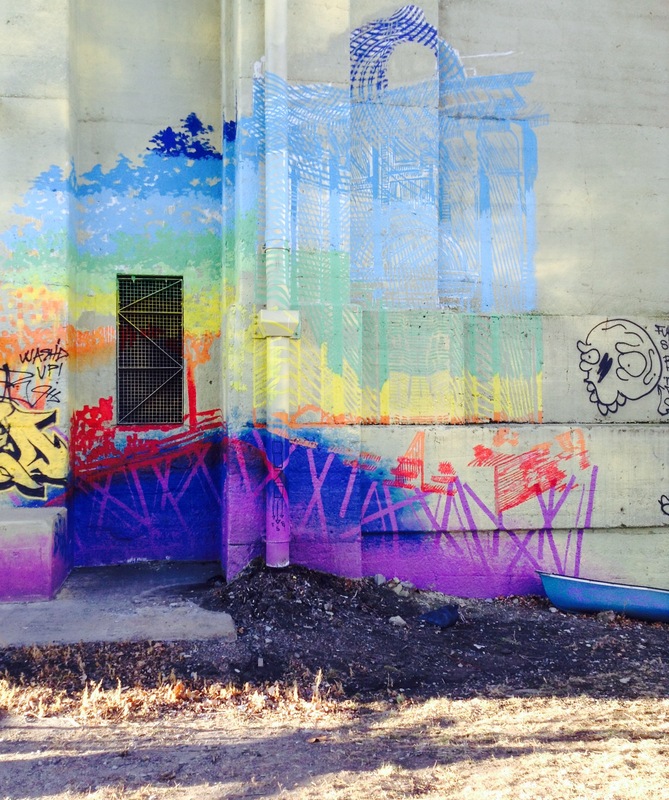 On a strangely warm day in mid-January, I biked to Lawrenceville and took a walk beneath the 40th Street bridge where I found these: fiery art rainbowing the concrete bridge-bottom, and a lonely canoe. And sun. I’d heard this before, and I’m sure I nodded at its truth in the past, but today it had me spellbound. The quote is from Howard Thurman, the prolific speaker and civil rights leader, telling us to be motivated by what makes us alive. In case you’re like me and get too-often lost beneath buzzing routine, here is permission: Yes. You should do what enlivens you–because how can that not bring brightness into the world? Come alive.